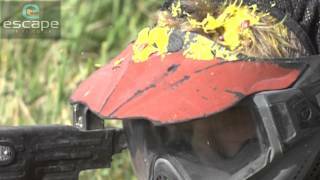 If your looking for a wild start to your Hen weekend in Brighton why not try Paintballing? You will be provided with camouflaged overalls, protective head gear and semi-automatic Paintball guns and will be running about the woods splatting people with Paintballs. Our Brighton Paintball site is the best that you will find in the South East and we guarantee you an thrilling, paint splatting experience with 18 different game zones to choose from including Amazon Assault, Church Strike, Lost Island, Arthur's Castle, The Jungle, Towers and Urban Assault. The guys at our Brighton Paintball site have created the perfect Paintballing experience and we guarantee that this activity will leave you buzzing with excitement for the rest of the weekend!